Balzer + Bray, 9780062366665, 32pp. Get in the Halloween spirit with Otter—the irrepressible picture book character from I Am Otter and Otter in Space, sure to be adored by fans of Llama Llama. Halloween is Otter's favorite holiday. It's also a very busy time for her and Teddy. With so much to do, it's a good thing she's a Halloween expert! 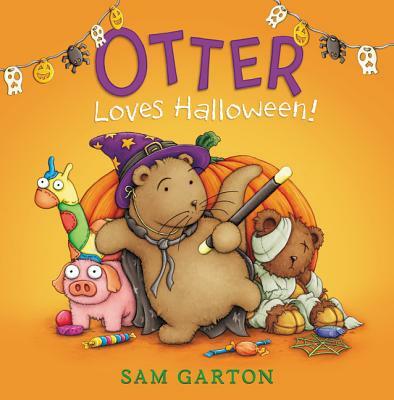 With Otter's winning voice and Sam Garton's classic yet fresh artwork, Otter Loves Halloween! is sure to be a holiday favorite.